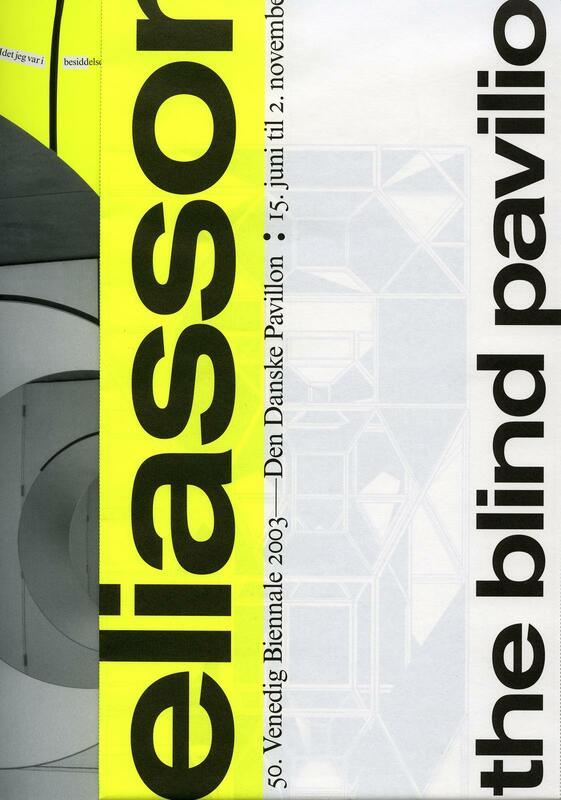 Olafur Eliasson: The Blind Pavilion accompanied the artist’s Venice Biennale Pavilion, of the same title, when he represented Denmark in 2003. The Pavilion consisted of ten individual works, arranged to constitute a narrative sequence partially emphasised by a long, looping walkway that took visitors to the roof of the Pavilion and down again in an uninterrupted movement. Both interior and exterior spaces were thus utilised. Designed by cyan, the catalogue was conceived as an independent book, revolving around a spiral spine that makes any page a potential cover. A text by the Danish author Svend Åge Madsen runs through the pages, interlaced with writings by Rodney M. J. Cotterill, Olafur Eliasson, Karl Holmqvist, Frida Björk Ingvarsdóttir, Jakob Jakobsen, Anders V. Munch, Ingo Niermann, Andrzej Przywara, Israel Rosenfield, Adam Szymczyk, Sheena Wagstaff, and Gitte Ørskou as well as various kinds of visuals. 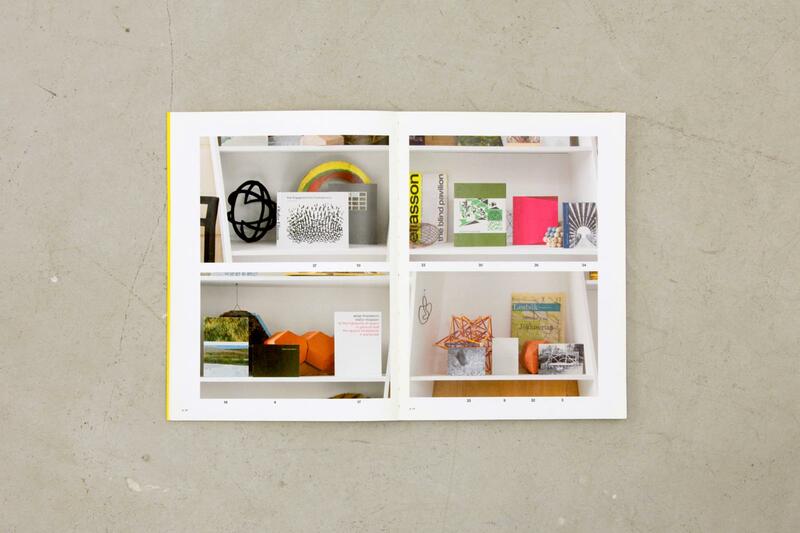 The book consists of differing types of paper, fold-out pages, collage-like compositions of diverse image material, high-end photographic reproductions as well as snapshots and fragments from older publications, all put together in a dizzying sequence that challenges the reader’s orientation.